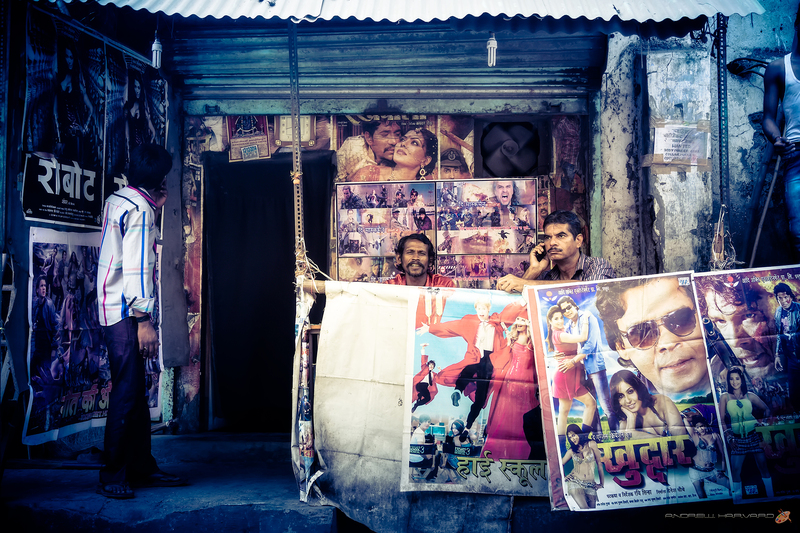 We are still in Dharavi (Mumbai) with the next inserted photo which was taken outside the local cinema. When walking past we asked our guide as to the goings-on inside. We were advised that the entrance fee is Rs.10 which is an amazing R 1.75 (0.158434 USD)!!! Okay, it’s not big screen and the movies are apparently shown on a large LCD TV. Anyway, the cinema appears to have a ventilation fan and black dark curtain to keep the light out.